TORONTO — What do a leopard statue in Kenya, Finland’s crazy version of Dragons’ Den, a DC-3 airplane in Hong Kong, a giant moose statue in Saskatchewan and a street-skating event in Paris have in common? 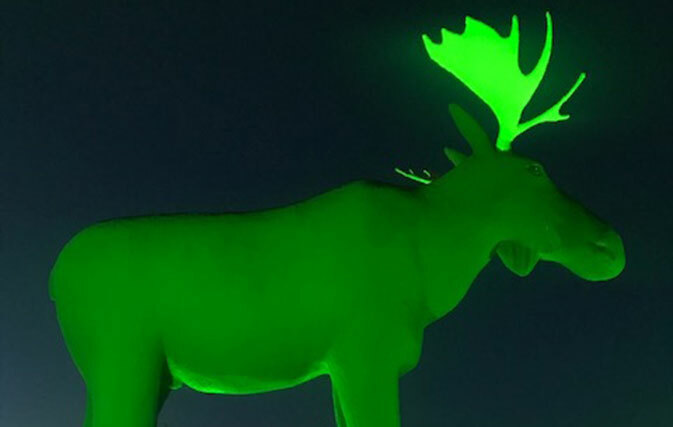 They’re just some of the more unusual participants in Tourism Ireland’s Global Greening initiative for St Patrick’s Day 2019. 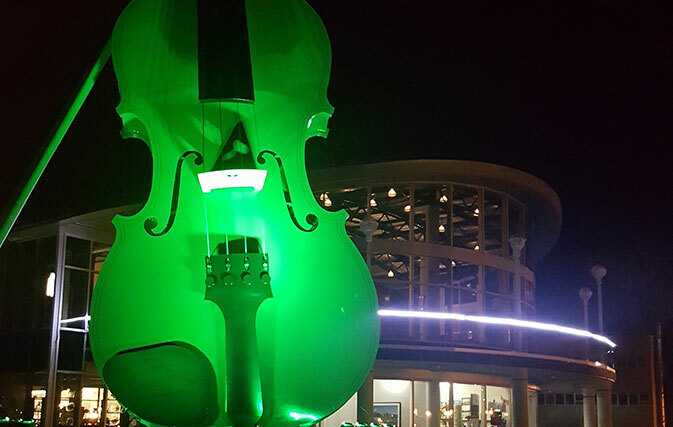 Tourism Ireland’s annual Global Greening initiative got its start back in 2010, when just the Sydney Opera House and the Sky Tower in Auckland went green. Now, says Tourism Ireland, 2019 will be the biggest Global Greening to date, with some 420 sites in 53 different countries signed up to take part this year. 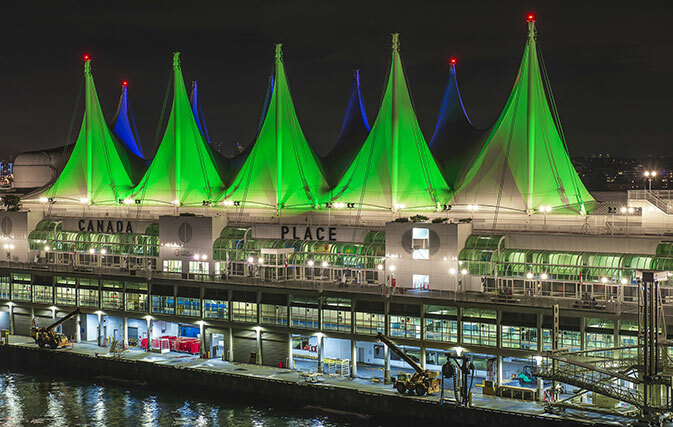 From Rome to Rio and from London to Las Vegas, a host of famous buildings and sites around the world will be turning a shade of green over the coming days. 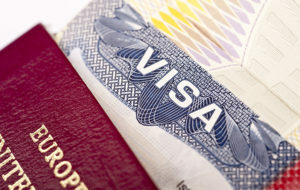 In total Canada will contribute 15 greenings this year, including Toronto’s Casa Loma and Canada Place in Vancouver. Pari Roller in Paris: One of the biggest street-skating events in the world, which will see hundreds of roller-skaters gliding through the streets of the French capital. They’ll stop at the Palais de Chaillot, where they’ll carry bright green glow sticks. St Patrick’s Bike Parade in Amsterdam: A festive green procession of bicycles, with the bike wheels illuminated with green LED lights. The parade will bring together two cultures: the bike (iconic for Amsterdam) and St Patrick’s Day (known for parades and turning the world green). A leopard statue called ‘Chiu’ in Kenya: a statue in Karura Forest in Nairobi, made by a local artist from re-cycled scrap metal. ‘Mac the Moose’ in Moose Jaw, SK: A steel and concrete sculpture of a moose, standing 32 feet tall. The world’s largest Muskoka chair in Gravenhurst: At 21 feet high, this distinctive, outdoor chair made of wood is in Gravenhurst, ON. The Big Fiddle of the Ceilidh: The world’s largest fiddle, on Cape Breton Island. A carp statue, called ‘Fridolin’, in the town of Höchstadt an der Aisch, in Bavaria. 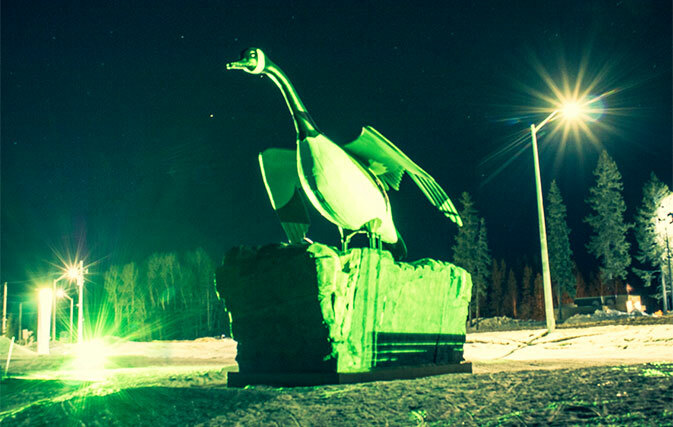 The Wawa Goose: An 8.5 metre, metal goose statue, which stands along the TransCanada Highway outside the small town of Wawa in northern Ontario. New buildings and sites taking part in Tourism Ireland’s Global Greening this year include Victoria Falls, Burj Khalifa in Dubai, Lord’s Cricket Pavilion in London, the Guinness Open Gate Brewery and Barrel House in Baltimore and the Absolut Home in Sweden.